Experience immersive home theater with the 7.2 channel Denon AVR-S740H. Featuring Dolby Atmos, DTS:X and DTS Virtual:X support. The AVR-S740H features an advanced HDMI section (6 in/1 out) and the latest video technologies such as Dolby Vision, HDR, HLG and 4K video pass-thru. Stream music from Spotify, Pandora, Tidal and more to anywhere in your home with HEOS and control the AVR with Amazon Alexa voice compatibility. Power truly immersive home theater experiences with the Denon AVR-S740H. Enter the action with Dolby Atmos, DTS:X and DTS Virtual:X three-dimensional surround sound, while enjoying the best video experiences such as Dolby Vison, HDR, HLG and 4K video upscaling. Play your MP3, WAV, FLAC, ALAC and DSD (2.8/5.6MHz) files via the front-panel USB, or stream Spotify, Pandora, Tidal and more with built-in HEOS technology. Control the AVR with Amazon Alexa voice compatibility. 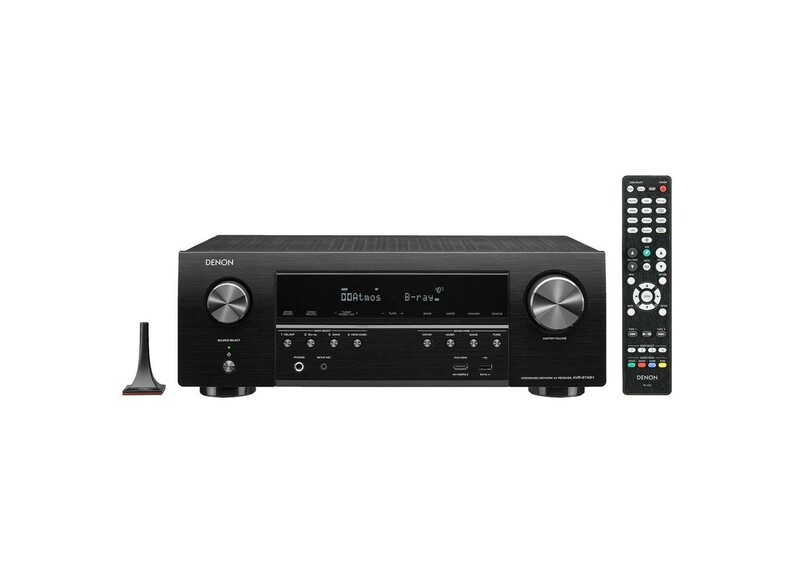 With an award-winning Setup Assistant, the Denon AVR-S740H is just as easy to setup as it is to enjoy.